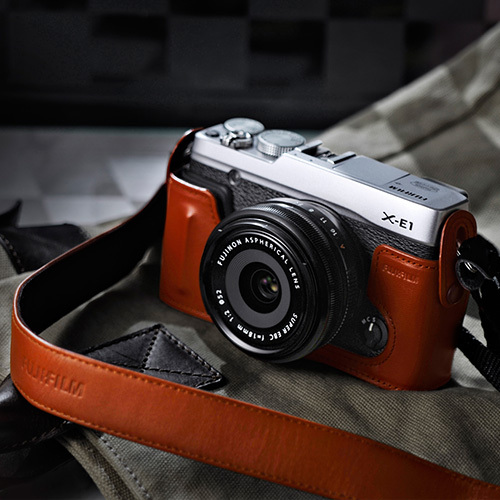 The Fujifilm X-E1 was launched soon after the X-Pro 1 was launched by the company. 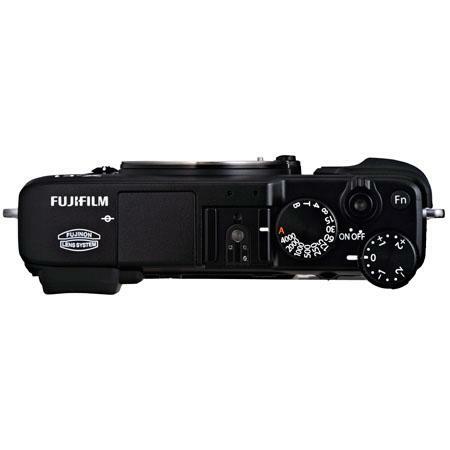 It has most of the refinements that the more accomplished and powerful camera has with some refinements of its own. Let’s delve into its specifications and performance to find out more about it. 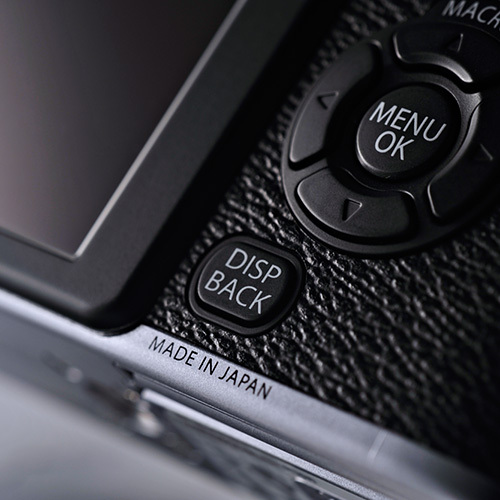 The X-Pro 1 had the same sensor which had completely taken the photography world by storm. It uses a proprietary filter arrangement which has a completely random distribution of the blue, green and red filters unlike the bayer arrangement. The technical stuff aside what it does is that it basically reduces the effects of color moiré when it comes to repeating patterns or close knit weaves of fabric. 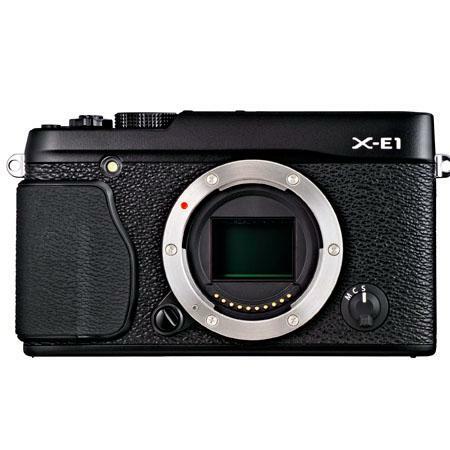 While other digital cameras use an Optical Low Pass Filter right between the sensor and the rear lens elements the XE-1, resultantly, do not. The effect of the OLP filter is not limited to only eliminating the false colors; they also create a softer image while trying to compensate for moiré. 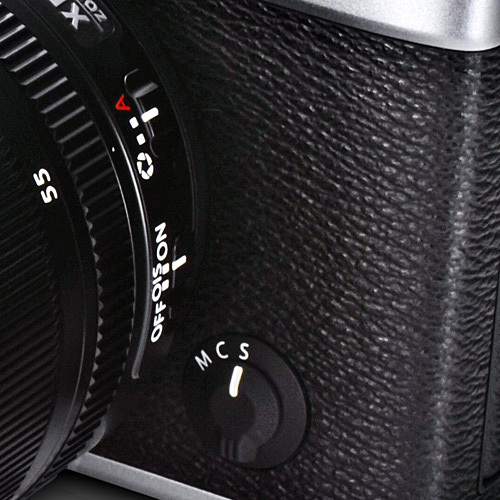 The absence of an OLP filter in the Fuji X-E1 means that the images are that much sharper. 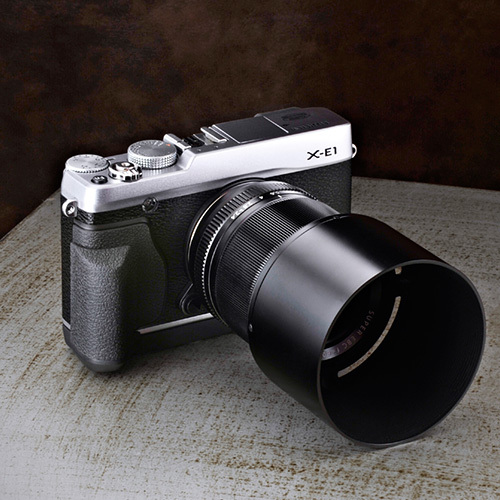 The XE-1 does not have the luxury of an optical view finder. However it more than makes up for that with a 2,360,000 dots OLED electronic viewfinder with 100% frame coverage. 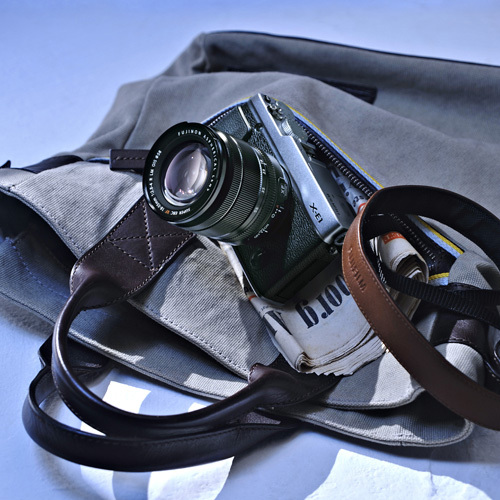 If you’re migrating from a compact camera then the one feature that you would immediately look into is the ability to compose via a LCD monitor. 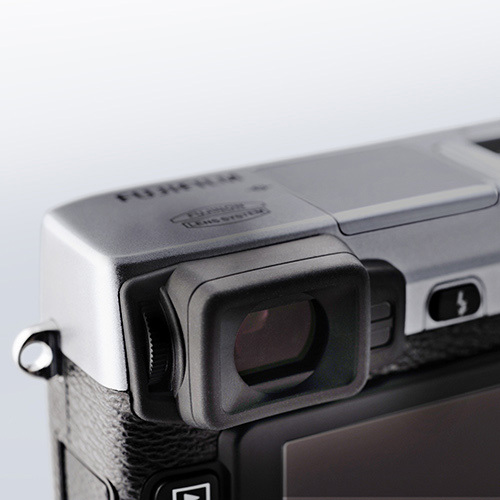 The X-E1 has a 2.8” LCD monitor that offers a 460,000 dots resolution. 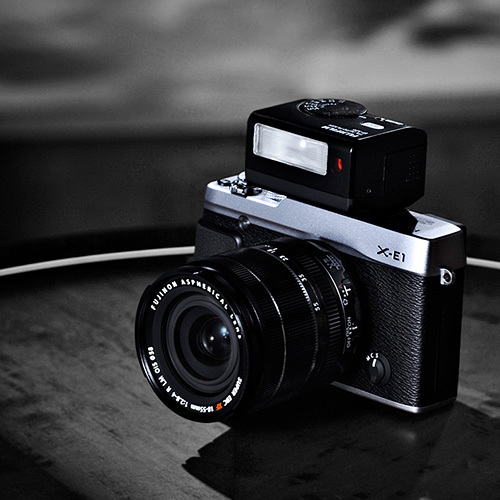 Continuous shooting speed: The X-E1 has a continuous burst rate of 6 fps. The X-E1 shoot stills in 4896 x 3264 pixels. Alternatively it can shoot RAW (RAF format) and RAW+JPEG. It also shoots full HD movies and 720p HD movies in 24 fps and use the H.264 encoding format. Mono sound is recorded using the built-in mic. There is an option to plug in an external stereo mic via the 2.5mm jack. The X-Pro 1 in spite of being a wonderful camera system has a perennial problem and that is its slowness of response when it came to auto-focusing. This is one of the areas that the X-E1 has been much improved making it a better camera to use. When switched on it bursts to life in less than 0.5 seconds. 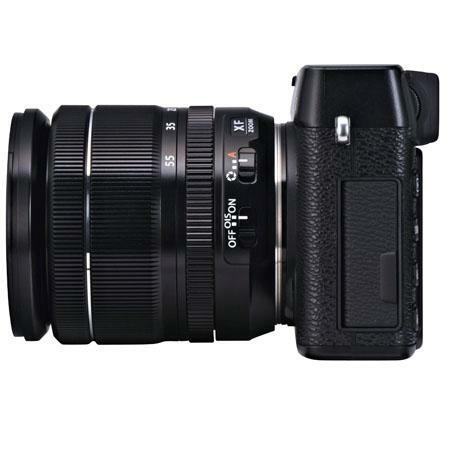 Additionally the X-E1 can lock on focus in about 0.1 seconds. The shutter lag time has been greatly reduced to only 0.05 seconds. 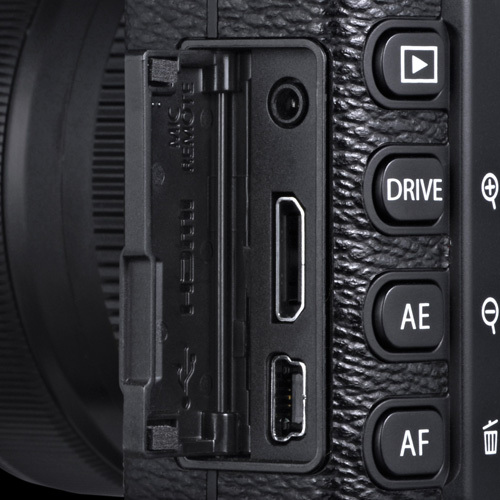 The camera uses a single memory card slot compliant with SD/SDHC/SDXC cards. The X-E1 has a normal ISO range of 200-6400. However they can be expanded to 100-25600. 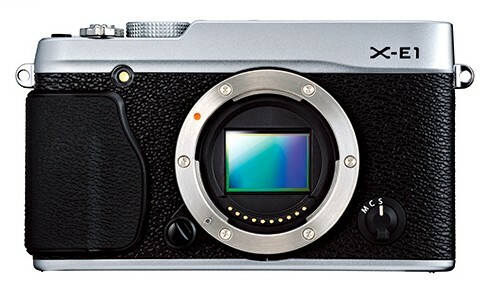 The XE-1 loses the optical viewfinder of the X-Pro 1. 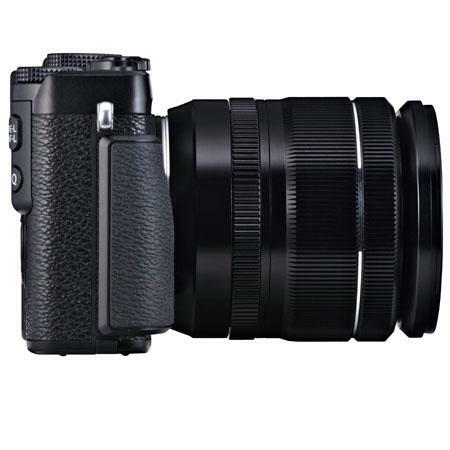 That in essence is one of the reasons (among many others) why this model costs a good $700 less than the more powerful X-Pro 1. 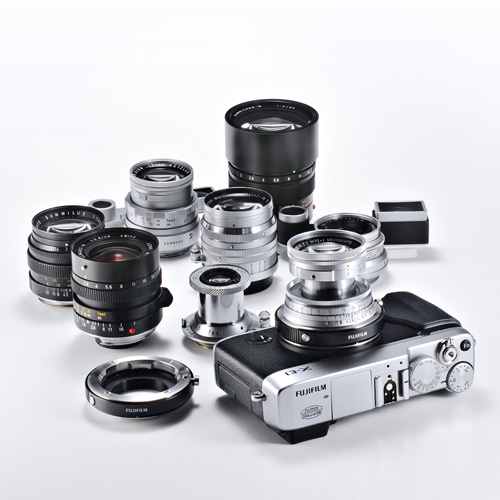 The Sony NEX-7 is one MILC that immediately comes into the comparison chart. The reason is that both systems have an EVF instead of a OVF. Additionally both the systems use an APS-C sized sensor. 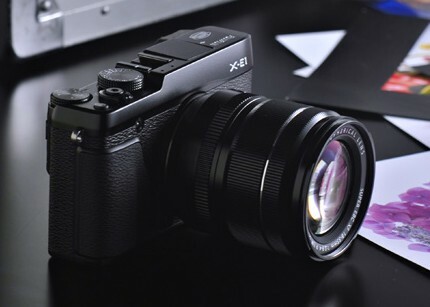 Come to think of it the Fujifilm X-Pro 1 also uses an APS-C sized sensor but the fact is that it uses a dual viewfinder system and also it’s way above the price of the X-E1. 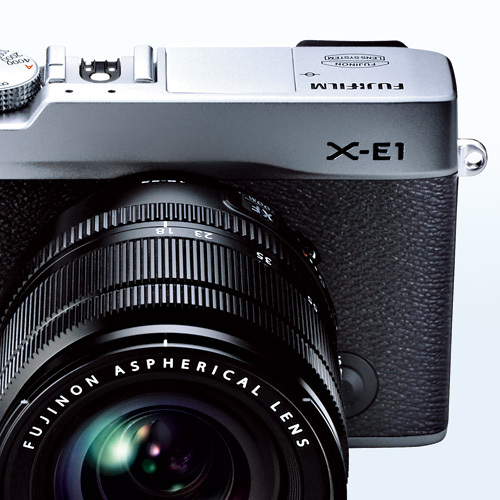 A few factors might work in favor of the X-E1. First is the faster auto-focusing capability. The X-E1 is definitely faster when compared with the X-Pro 1. 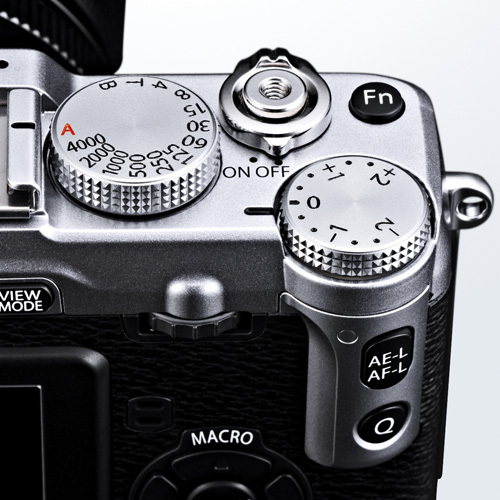 While the X-Pro 1 is definitely one of the top two mirrorless cameras currently on sale (and we feel that it is better than the Canon EOS M and the Nikon 1 series) the poor performance when it comes to AF definitely works against it. 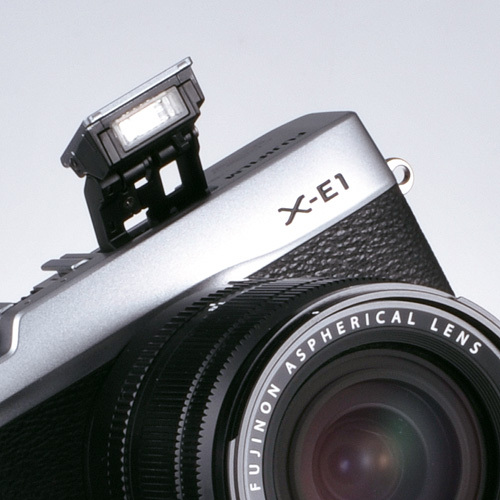 Additionally the X-E1 has a built-in flash which the more expensive model does not have. 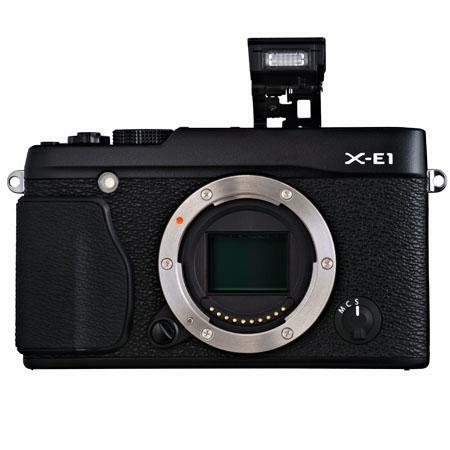 To sum it we feel that the X-E1 is everything that the X-Pro 1 can offer but at a better price. Being nearly $700 dollars less does also make it a good deal cheaper on the pocket.